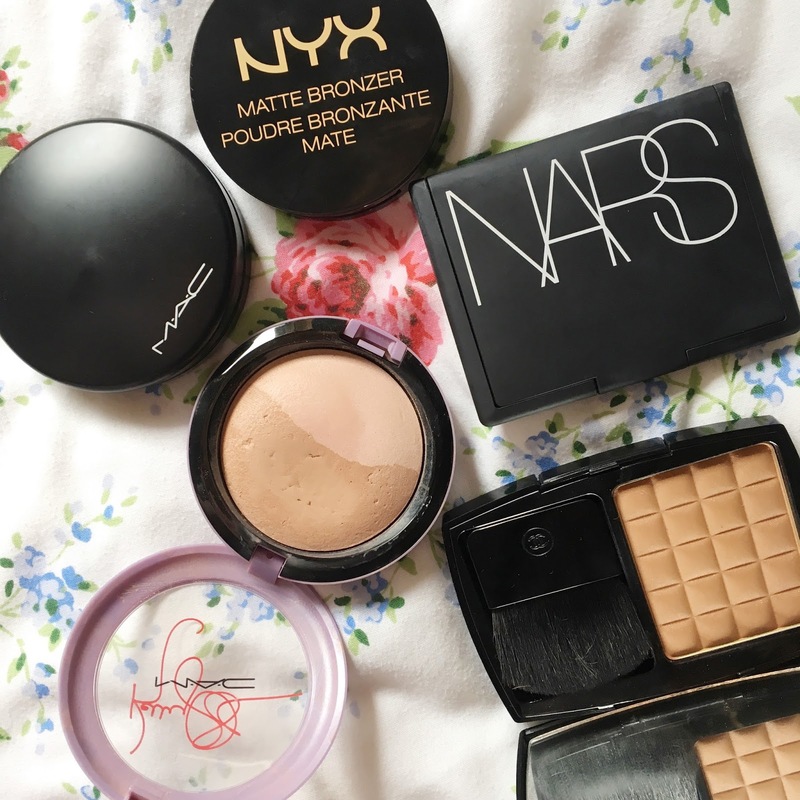 So after my Top Highlighter post was so popular I thought I would share my Top 5 Bronzers. I feel at this time of year it is great to give yourself a nice glow to your face, especially when you are as pale as me (lol), but also to keep holding onto to what we have left of Summer. Enjoy! Left- Right: Nars Laguna, NYX Matte Bronzer, Mac Jolly Good, Mac Natural Finish and Chanel Silk Bronzing Powder. 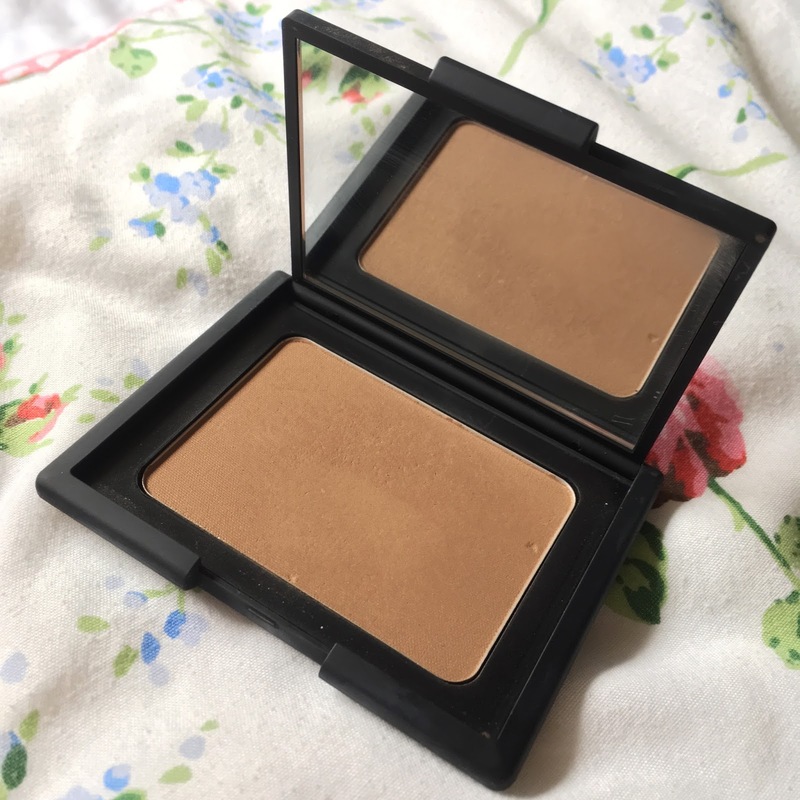 Nars Laguna Bronzer has been my all time favourite since I bought it last year. It is the perfect shade for my pale skin tone, it has a slight shimmer to give a subtle glow. However, I would say it is more matte, it is perfect to use to bronze my face but also to contour my cheekbones. I love the size of this packaging, I just finished my mini duo so this will last me for a while. I am a big fan of Nars and this product did not let me down!!! This NYX Matte bronzer, as you can see from the title is a 100% matte and is great for contouring as well bronzing. I bought this whilst on holiday in Malta, it was the first NYX product I bought so I was nervous and excited. It has been a great addition to my everyday makeup routine. It gives a light contour whilst adding a tad more colour to my face. I do find it a little orangey if I use too much, although that might just be my skin tone. 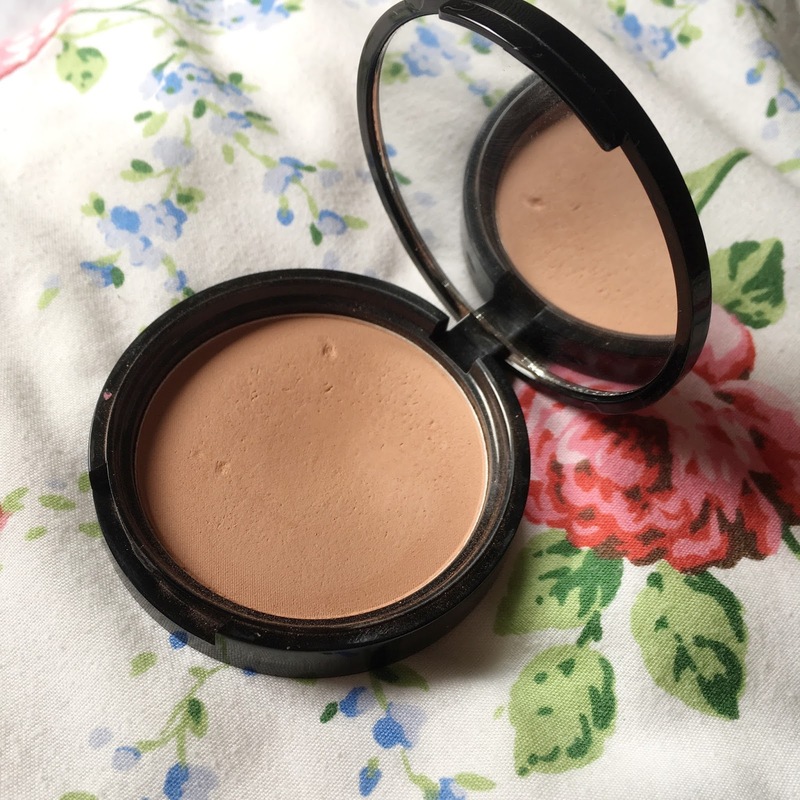 This Mac Mineralize Skinfinish bronzer has worked its way up to one of my favourite bronzers, my friend Keira gave it to me last year and I have just got round to using it now. 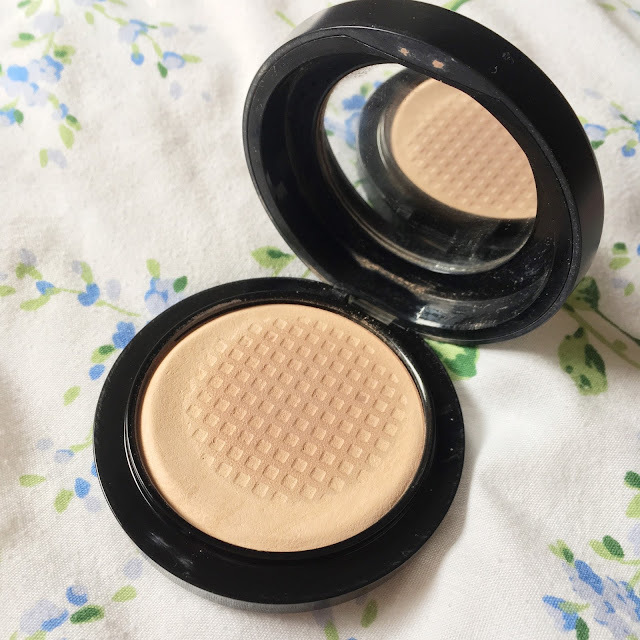 I find this colour is perfect for my skin tone, it is described as a 'light cool beige' and is perfect to give my face a warmer look without being to overkill. The pale pink/cream highlight is also very pretty and gives a subtle highlight to the face. The duo has worked its way into my everyday makeup bag as well as one of my favourites. Yes, I am that pale that I use Mac's Medium Mineralize Powder for my bronzer! This is my all time fav, for when I want a simple look, it just gives the slightest colour to my face, whilst being natural. As you can tell it has been used a lot and fun fact, it was my first ever Mac product I bought along side Mac's Blushbaby. 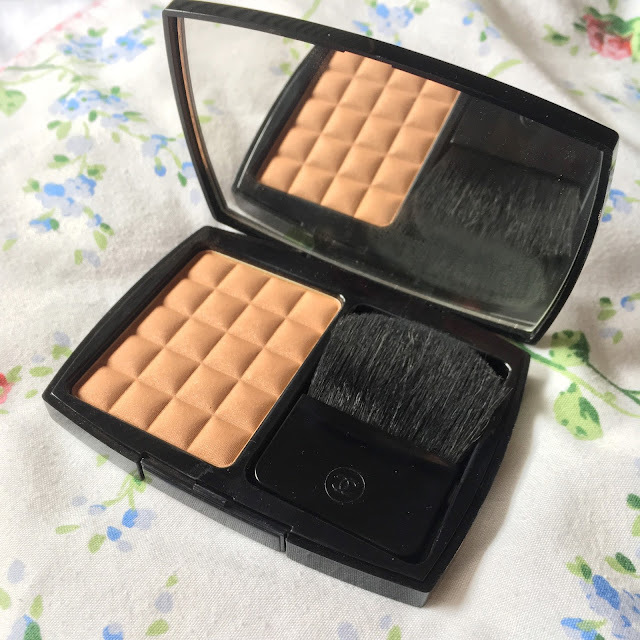 I use it for both contouring and bronzing my face and it was suggested to me by the lovely Lauren Gollan when Sarah and I attended one of her classes. It is completely matte and for me, very buildable. This bronzer is actually my newest addition and that is Chanel Silky Bronzing Powder. I never really ventured into Chanel for make-up, purely because the prices are so high, so when I saw this at a lower price in Malta, I thought it would be rude not too. It was my best purchase and I feel like a queen when I wear it!! The packaging is so pretty and you know something is good when it comes with its own pouch. In terms of the product, I would say it is highly pigmented, a little goes a long way. It does seem dark and when it is on my skin it shows up quite considerably. 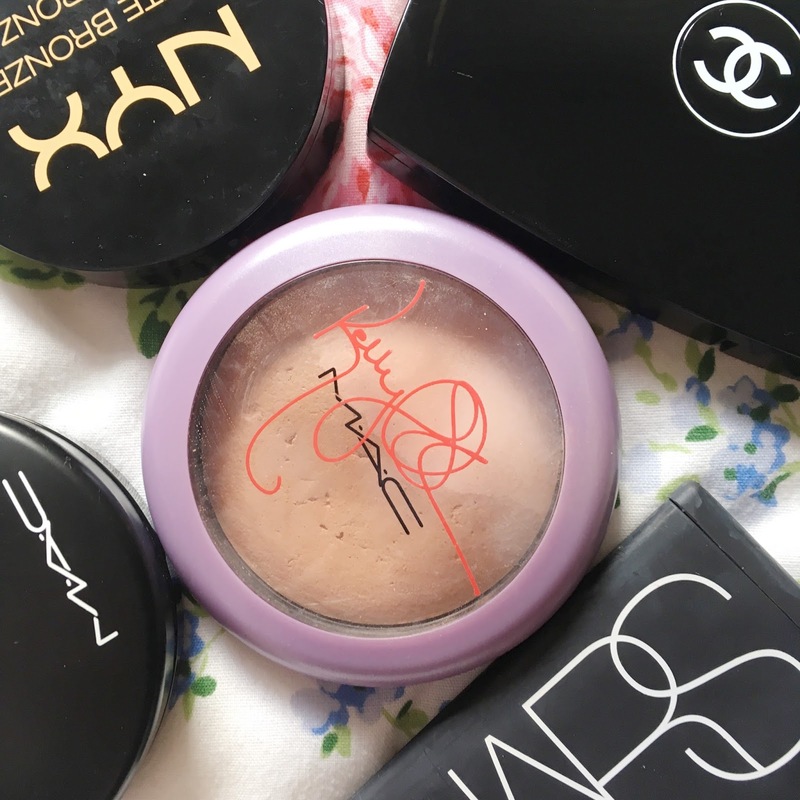 It has a shimmer through it so if I use a small amount I can get away with applying it all over my face, however, I tend to stick with just contour. Overall, I had to work it into my Top 5!! I really like writing and reading these types of posts so let me know if you want to see any more of my Top Products and Let me know what your favourite bronzers are? I use the same MAC mineralize , as I am pale too! I get called a pale freak, by a lot of people, as I am basically as white as paper! I might have to try the NYX one out! I'm loving bronzers at the moment! They are just so perfect for the summertime, I would love to try out the bronzer from NARS. Just bought a new bronzer yesterday and I'm so happy to see it there - just got the NYX matte bronzer, needed a change from the Hula Benefit one! Thanks for sharing! Your photography is on point for this post, I love your bedsheets too! Are they from Cath Kidson? That Chanel bronzer looks so luxurious, I'd love to try that out! Thanks for sharing your favourites! 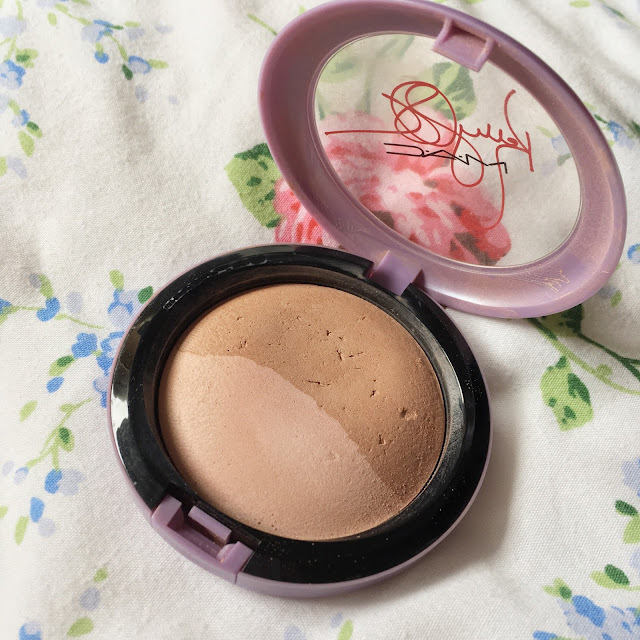 I am in serious need of a new bronzer so this has definitely made my decision a lot easier! I've heard so many good things about the Nars Laguna bronzer!